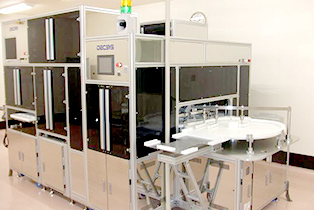 Pharmaceuticals｜Antibiotics (CMO business) Formulation Production Inspection ・Packaging line etc.｜API Co., Ltd. Here we conduct visual inspections, lot printing, labeling, shrink-wrapping, and other kinds of packaging. We can also incorporate variable information into labeling using GS1 codes. We conduct visual inspections to check for stained or damaged vials and to ensure the tightness of stoppers. Inspectors are trained carefully and undergo regular reviews to ensure a high level of competence. 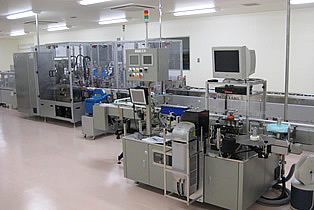 It automatically evacuates vials containing foreign matters using video camera while vibrating vials at high speed. 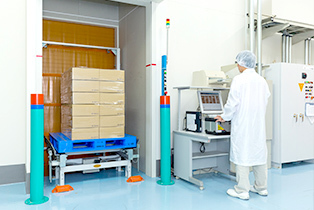 Raw materials, label and packaging materials, products, and other items are stored in an automated, temperature-controlled warehouse. 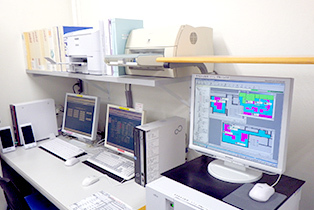 The status of important equipment and environmental factors are monitored and recorded. In the event of an anomaly involving equipment or environmental conditions, this data allows us to determine whether product quality could be affected and to quickly take appropriate steps to deal with the issue.